I have a few things to share today. If you follow me on Facebook, you’ve likely already seen Carolina, but I wanted to share her here as well. She was my most recent custom doll from my newest baby design. She’s the size of a newborn baby, so she can fit into real baby clothes. I weighted her in her hands, feet and body. She is about 4 pounds. She also takes a magnetic pacifier. Her arms and legs are floppy, which makes it easy to change her clothes. She has no button joints but her limbs are sewn in to allow for the movement. I hope to be making more of these newborns as Ready to Go dolls soon. 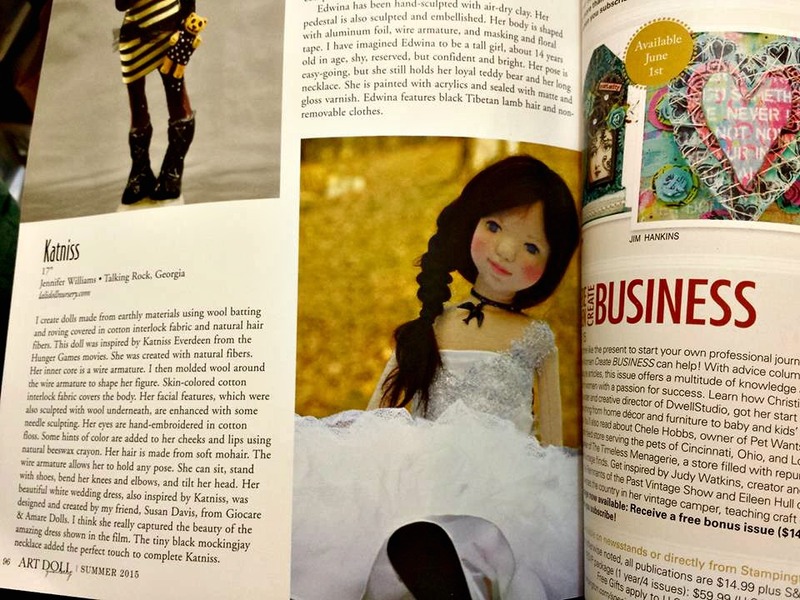 This is a page in Art Doll Quarterly’s summer 2015 issue. My doll Katniss was included as part of their Black & White Challenge. and lastly; Dollectable is coming up Monday June 1st. I plan to have a mini animal bunny available. 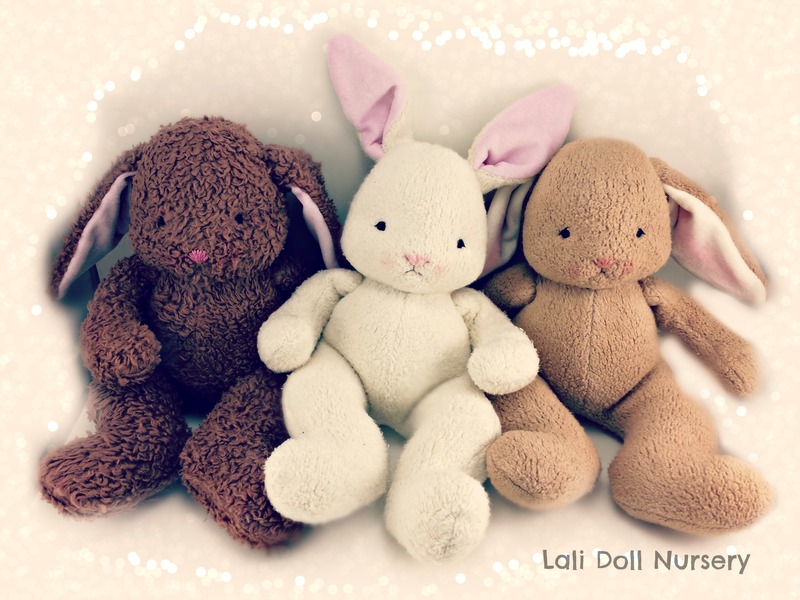 (Photo shows examples of my bunny pattern, I’ve not finished the bunny for a photo yet). I hope you will join our group shop upload on Monday!! Thanks Jeanette, i am finally started working on patterns again now. The binny is the first I’m doing but will get to the elephant after. Thank you for posting the pictures of the dolls. I also make dolls . You inspired me. HOLA , COMO PUEDO PONERME EN CONTACTO CONTIGO ? ?